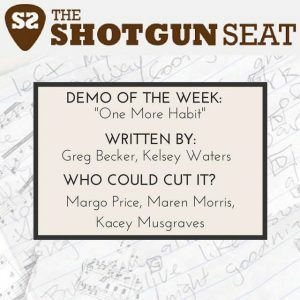 This week’s sultry, addictive demo could work for Margo Price, Maren Morris or Kacey Musgraves. 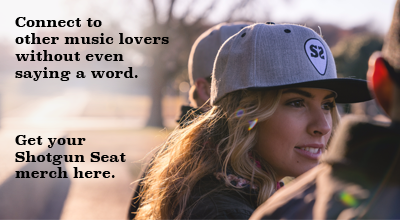 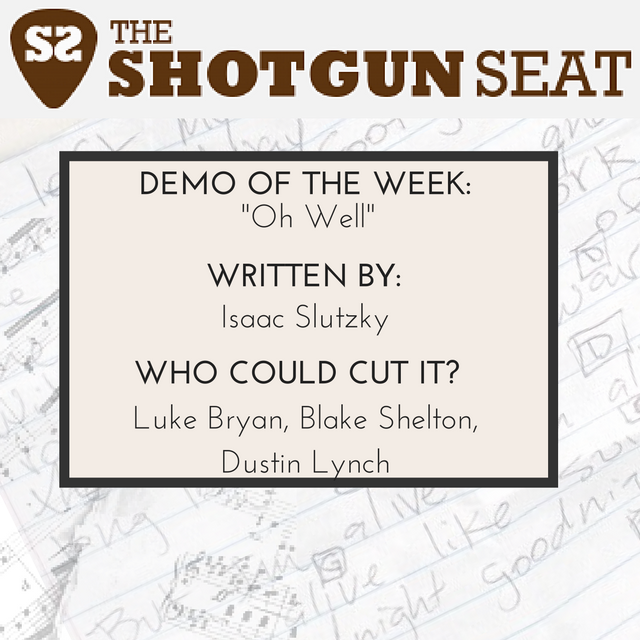 This week’s demo is a strong midtempo that sings through the lows of a heartbreak in a potentially big, rocking way. 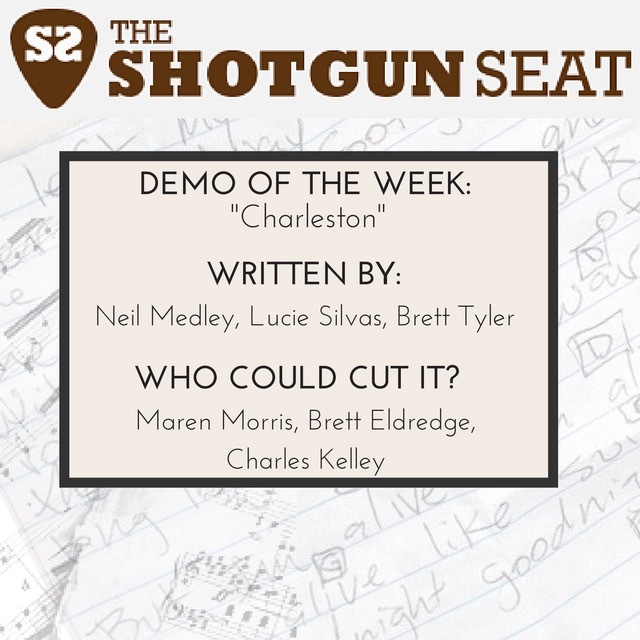 This weeks demo of the week “Charleston” would be a great fit for Maren Morris, Brett Eldredge or Charles Kelley. The slick production and deep groove make it a perfect song for artists who aren’t afraid to blur genres. 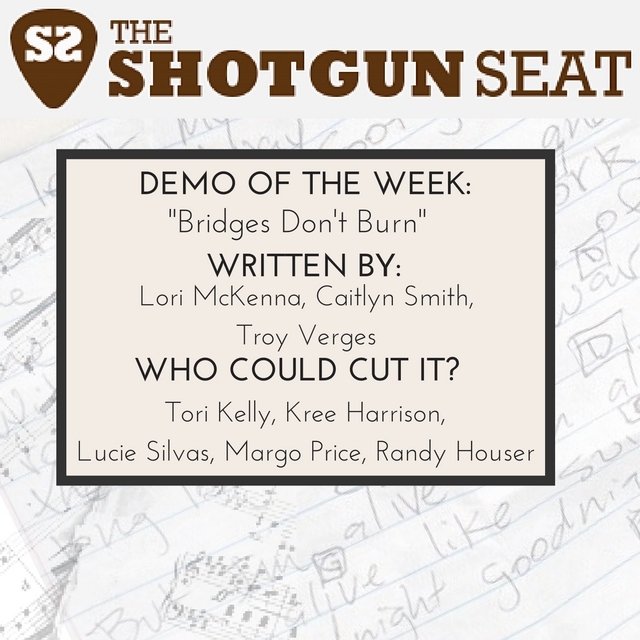 The potential dualities of the vocal performance combined with a fresh take on burned bridges make this song multitudinously compelling. 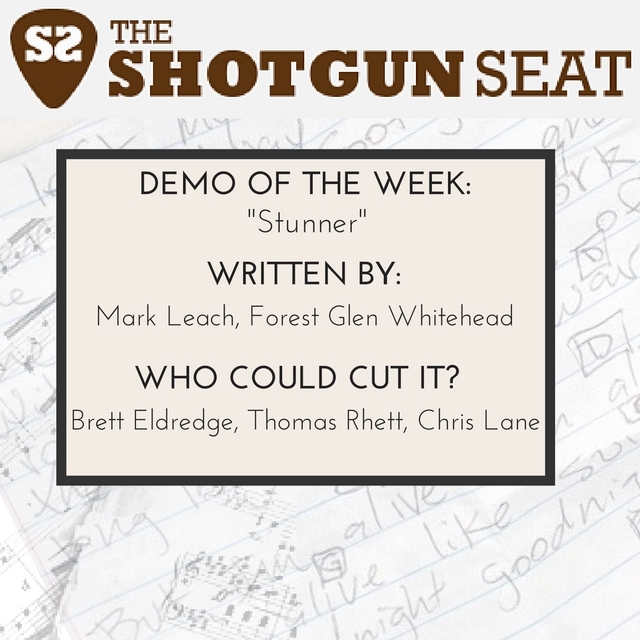 This week’s demo is beautiful, versatile, and strong, and could fit well with a number of artists. 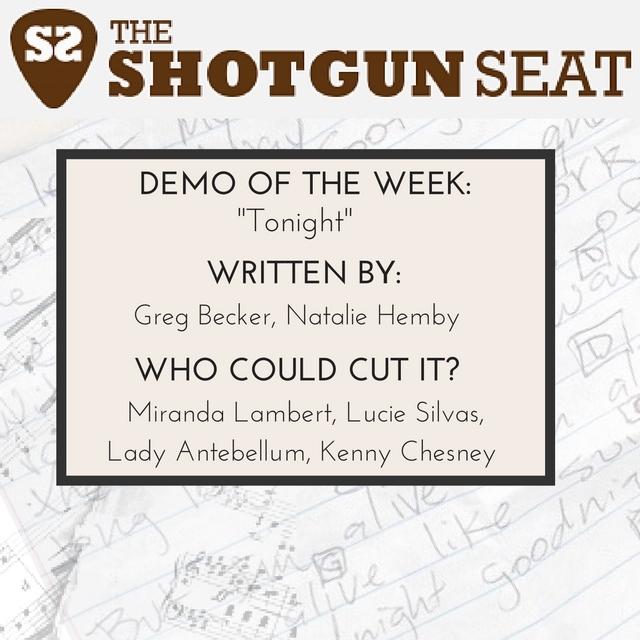 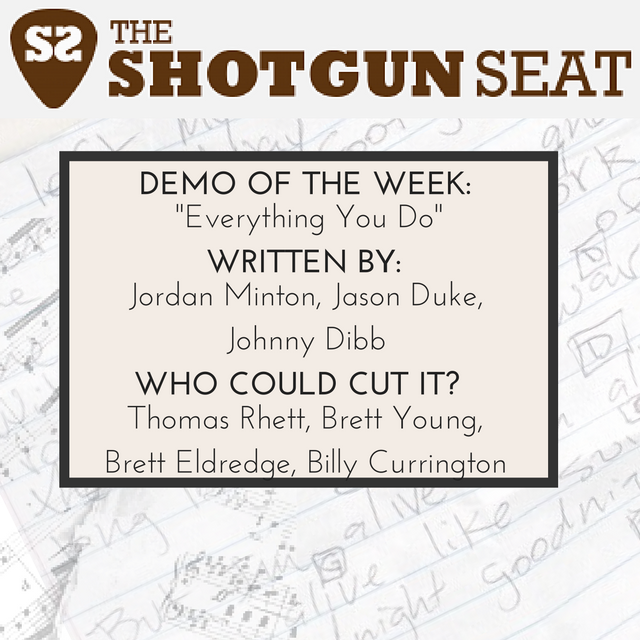 This week’s demo could fit well with Thomas Rhett, Randy Houser, Jason Aldean, or Cole Swindell. 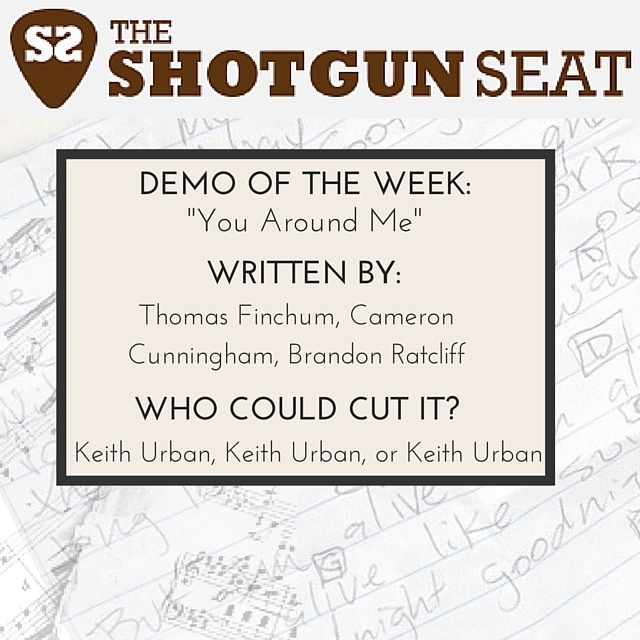 This week’s demo, a perfect cut for Keith Urban, gives the ultimate relationship gift: that of loving someone just as they really are.